NASA had called India's ASAT test a 'terrible thing'. But the scientists at the DRDO clarified that the threat of debris is not that much. The entire debris will decay in 45 days. New Delhi: By accomplishing Mission Shakti, India not only showed its capability to hit a satellite 1,000 km in space with an indigenously-built weapon, but also its ability to carry out a classified test at 300 km above the earth's surface to ensure that the debris decay is fast. 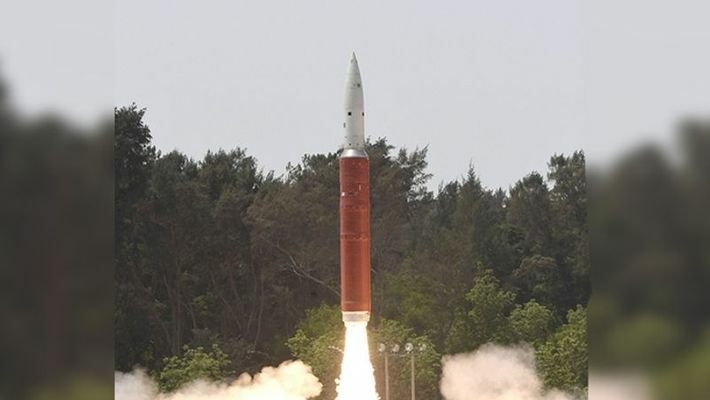 The Defence Research and Development Organisation (DRDO) on Saturday ended all the concerns which were being raised over orbital debris in the aftermath of the ASAT strike. DRDO chairman G Satheesh Reddy clarified that there was no possibility of debris from the ASAT test conducted by India on March 27 hitting the International Space Station (ISS). “An orbit of around 300 km was chosen for the test for capability demonstration. The US had also done a test at a similar height. The purpose was to avoid the threat of debris to any global space assets,” Reddy said. Recently, National Aeronautics and Space Administration (NASA) chief Jim Bridenstine called India's ASAT test a "terrible thing". But the scientists at the DRDO clarified that the threat of debris is not much. The first 10 days are critical and those have passed. The entire debris will decay in 45 days. “In fact the ASAT missile hit the satellite at a such an angle that only few debris went to the higher altitude which, without causing damage to any space assets, will decay in few weeks,” said an official. Commenting on P Chidambaram’s statement on Mission Shakti, Reddy said that a mission of this nature can’t be kept secret. “The satellite is tracked by many stations across the world. All necessary permissions were taken,” he said. On March 30, Chidambaram slammed Prime Minister Narendra Modi for announcing that India had demonstrated anti-satellite missile capability, saying only a “foolish government” would make such a disclosure and “betray” a defence secret. Reddy also said that there was no need for any more tests in this orbit now. If a space command needs to be formulated, it is the decision of the government. All critical technologies for the ASAT test were developed indigenously. Some 150 scientists worked round-the-clock and some 2,000 components were sourced from 50 private industries. The mission was conceived in 2014 and development started in 2016.